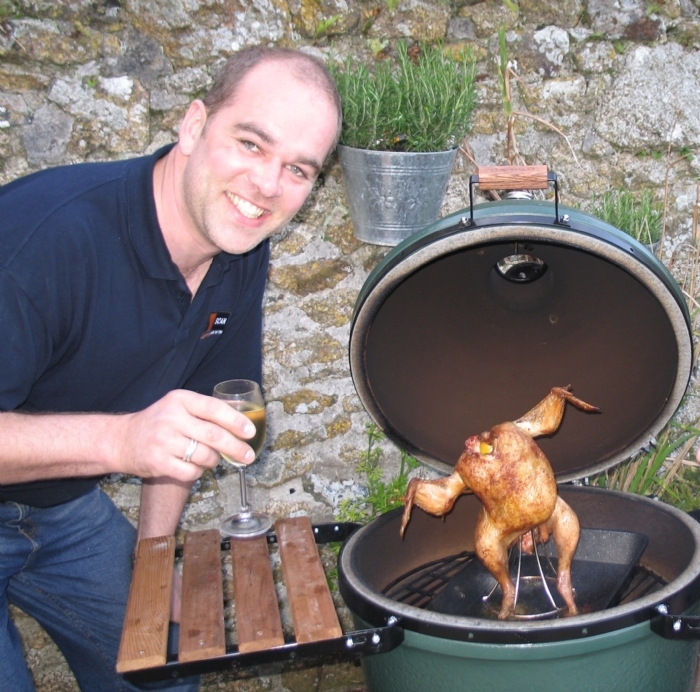 The Big Green Egg, the king of all outdoor cookers/BBQ's is back at Kernow Fires and is already making a huge impact on the showroom. 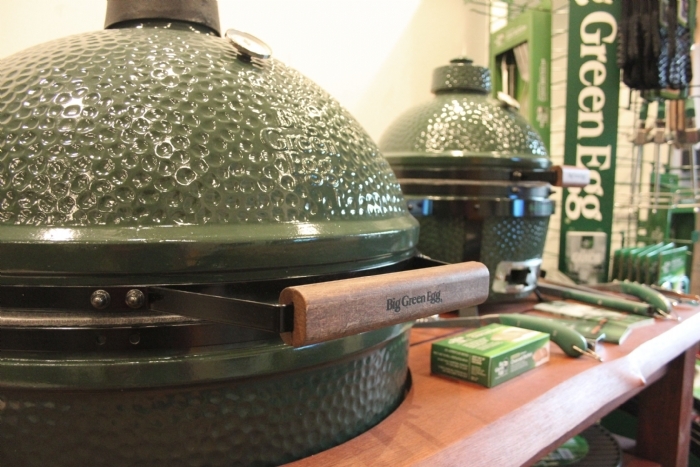 Our comprehensive displays nearly all the options, tools and accessories available and our Large Big Green Egg is cooking almost everyday as we make the most of having it on site. Already Pizza, Chickens and dinner have been cooked much to our delight and Jane is in her element thinking of the next thing to surprise us all with. Ross and Simon, being old hands with the egg are also full of delightful suggestions and Ross was keen to get his dinner cooking whilst he was working from the office today! 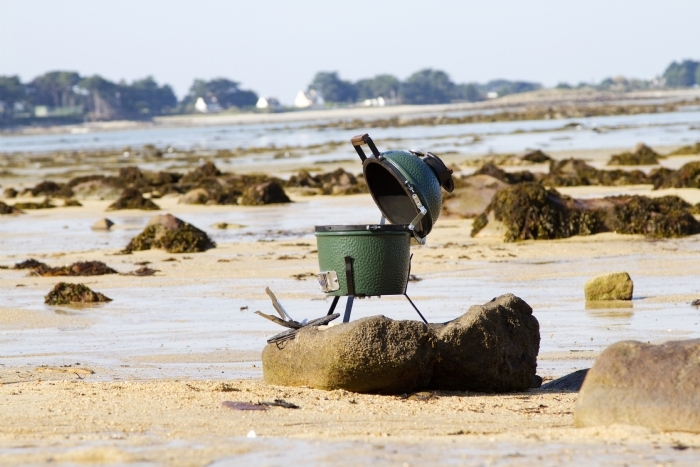 With prices starting at £630 for the Mini Max with plate setter and searing grid up to £3745 for the XXL there is an egg for every from the cooking for one to those who love to entertain the masses.